Philips is a famous electric device manufacturing company in the world. It produces a variety of electric shavers. Most of the shavers from Philips are popular in the young generation. Philips knows how to fulfill user’s basic requirements. They supply a variety of electric razors to the market. You can easily choose the best and most efficient electric shavers of Philips. 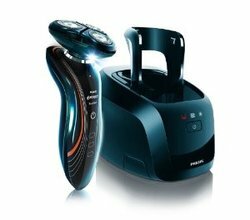 This Philips Norelco 1160x SensoTouch 2D shaver is a great product which can fulfill all your requirements. You can easily depend on this shaver without any confusion. This Philips Norelco 1160x 2D shaver is manufactured with a great cleaning option. It has some amazing features which are not available for other brands. It comes to the market with a jet clean system. If you don’t need the jet cleaning system, you can easily purchase Philips Norelco 1150X/40 SensoTouch 2D Electric Razor. This electric razor is available without a jet cleaning system. All SensoTouch electric rotary shavers from Philips can provide you a smooth shave. They can also provide you an irritation free shave. If you want to clean your electric shaver manually, then you will have to select this Philips Norelco 1150x shaver. This shaver can be the ideal product for you. Philips Norelco 1160x and 1150x shavers have similar functions and features. There is little difference between these two electric shavers. There is a replacement head indicator in 1160x. Jet cleaning system is added in 1160x. There is an also trimmer pact with this shaver. On the other hand, 1150x has no option for a jet clean system. That’s why, before you buy one of the best electric razors of 2018, you must consider all these things first. If you look at other electric shaving kits in the market, most of the razors have no ability to work on the curved areas. It includes the neck, chin and the jaw. These areas are called the problem areas. Most of the ordinary shavers cannot reach in these areas. In this situation, you must select this Norelco 1160x for your regular shave. This amazing shaver has a Gyro-flex motion option. It provides you a great flexibility to enhance your cutting performance. This Gyro-Flexed head works in 2 different ways. It can easily adjust with the shape of your face fitness. This head is designed to suit every curve in your face. For ensuring a smooth shave, this Norelco 1160x shaver has 2D precision heads. These heads incorporate shaving tracks. It has the ability to cut normal hairs. This shaver uses 2D lift and cut technology. It is used for comfortable cut. Most of the users of this Razor face minimize irritation to their skin. This amazing shaver comes with dry and wet “aquatic seal”. This seal indicates that it is efficient for dry and wet shaving without creating irritation to your sensitive skin. It is difficult for you to travel with a shaver along with the jet cleaner dock, but this shaver is very efficient for travelers. It has high powerful Lithium-Ion battery. 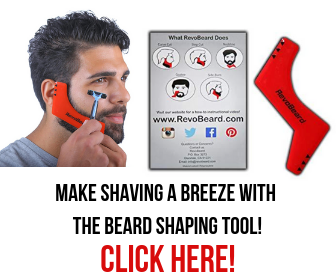 It provides you a 17 days shaving after completing a full charge. This shaver has an On/Off button. Press this button for three seconds to deactivate and activate this shaver. There is a travel lock option in this Electric Razor. There is a big difference between Philips Norelco 2D and 3D shavers. If you go through the specifications of 3D razors from Philips like Philips Norelco 1250X 3D SensoTouch, it has head pivots. It works in 3 directions. These razors can move up to 360 degrees. The heads of 3D shavers can easily flex outwards and inwards. It is very efficient for your skin. The 3D razors come with a unique ultra trace shape. It can capture all types of hairs. This best Philips electric shaver is very effective for flat lying hairs. You can also read reviews on Philips Norelco S9721/84-9700 shaver to complete your study on best shavers that fit your best. On the other hand, the Philips Norelco 2D shavers have dual precision heads. These heads are efficient for normal and short hairs. Philips Norelco 3D shavers have an integrated trimmer, but there is no integrated trimmer in the Philips Norelco 2D shavers. It has click on trimmers. Finally, we highly recommend this product to you if this shaving kit fulfills all your expectations. Also never forget to read its instruction manual after purchase and before using this top rated electric shaver. Always shave properly because improper shaving techniques can create an unsatisfactory result. 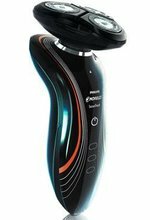 Hope that after reading Philips Norelco 1160x SensoTouch 2D shaver reviews you get clear understandings on this product to make right buying decisions.